Scientific literacy is define as the capacity of use scientific knowledge in order to understand and help make decision about the natural world and the changes made it through human activity. Teachers are a major factor in the success of learning, therefore it is necessary to test the scientific literacy skill of biology teacher students. 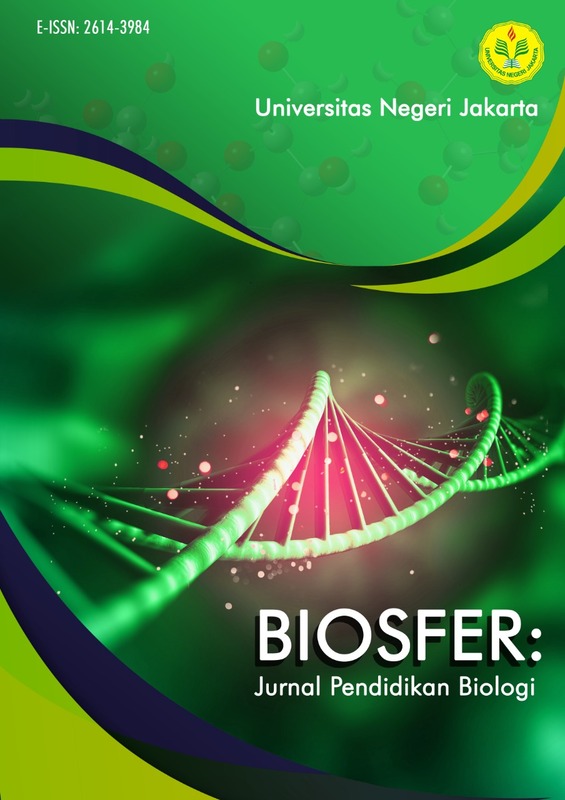 This study aims to find out science literacy of biology teacher students and the corellation between of integrated science process skill, and reading comprehension skill of biology teacher students to their scientific literacy skill. The method for this research used the survey method with correlational studies. The sample of this research is 81 students of biology teacher students of Jakarta State University. The results shows that the scientific literacy of biology education students is destitute. It is shown from the average score of their scientific literacy skill which is 45.58. This study shows that correlation coefficient obtained is 0,457 which means that there is correlation between integrated science process skill with scientific literacy skill. This study also shows that there is correlation between reading comprehension skill with with scientific literacy skill which correlation coefficient obtained is 0,214.